It's surely coffee, tea and hot cocoa drinking weather. And what could be better than cozying up with your favorite steamy drink in your very own, personalized mug? 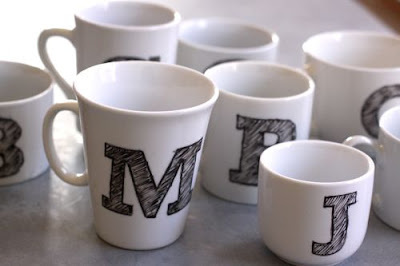 Head over to one of my favorite sites, Design Mom, to learn how to make these super cute monogrammed mugs -- which would make great gifts too!